Spring has finally arrived and like the cherry trees dotting the peninsula, Door County is getting ready to blossom, showing off its natural beauty with beautiful sunsets, spectacular shorelines and scenic vistas. 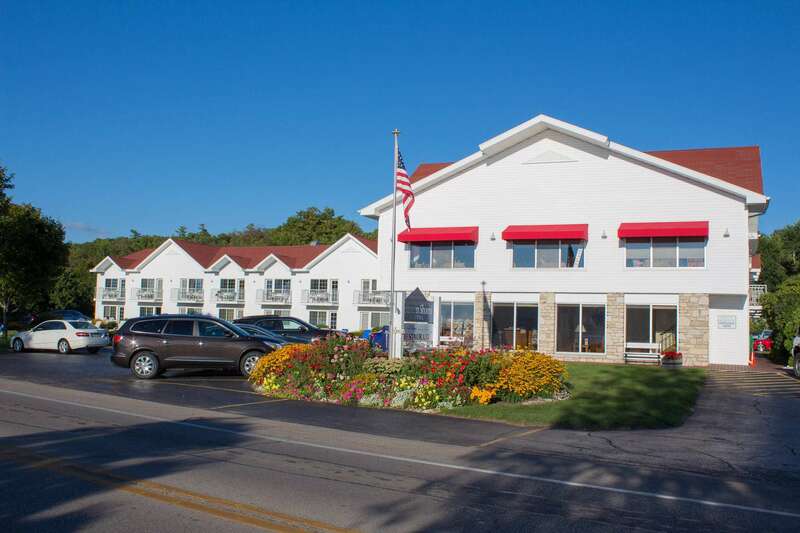 When looking for places to stay in Ephraim, WI, Ephraim Shores Resort is the ideal choice. Opening for the season starting May 6th, we are a family-friendly waterfront resort with everything you need to make your time away memorable. When it comes to things to do in Door County, the list is seemingly endless. One growing trend is to travel the Door County Wine Trail and visit the eight local wineries. You can spend the entire weekend visiting the wineries, each known for something different. Door County is well known for its apple, cherry and fruit wines, but there are also several producing estate-grown grape wines in their cold-hardy vineyards. By traveling along the trail, you will get a chance to sip and swirl great tasting wines as well as getting the opportunity to take in the county’s scenic landscapes. After a busy day seeing the best of what Door County has to offer, head back to Ephraim Shores to relax and recharge. We offer a variety of accommodations ranging from rooms overlooking Eagle Harbor with two queen-sized beds to two bedroom suites with a full kitchen and enough room for the whole family. Our resort offers multiple amenities including a private beach, sundeck, an indoor pool and whirlpool, game room, exercise room and bikes that our guests can use so they can further explore their surroundings. When it comes to finding Door County lodging on the water, Ephraim Shores Resort is one the best places to stay in Ephraim, WI. Ephraim Shores’ clean, comfortable rooms, along with resort amenities, make us the ideal location to spend your time away from home. We are currently taking reservations on our website, http://ephraimshores.com. You can also call us at 877-854-2371 to set up the plans for your visit. Our resort staff looks forward to providing you with a relaxing stay, so you can enjoy everything Door County has to offer.